Unless specified otherwise, most of our trainings are mixed. We have two mixed teams participating to the Swiss Championships (SM) in September, one phase being hosted in Geneva in 2017 and 2018. 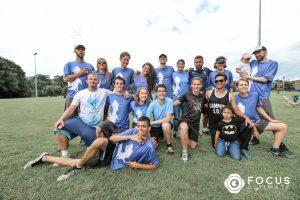 Kiwiz is our team is our integration team, where new players learn Ultimate Frisbee with more experienced players. Participation to different tournaments is also a great way to improve. Wiz Mixed is a highly competitive team, with the objective of achieving a good ranking in major international tournaments. Recent achievements include 2nd place at the Swiss Championships, qualifying the team to the 2018 WFDF’s World Ultimate Clubs Championships in Cincinnati Ohio. 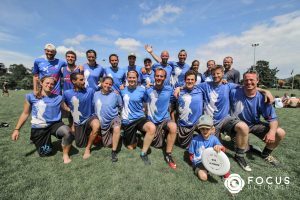 We traditionally participate to the Open Chamionships on first division, with the exception of 2018 where the focus was put on Mixed Ultimate, with the qualification to the WUCC. The SUA hosts the Open championshipts at the same time as the Women’s. Some trainings are specific to Women, and bring together players from all the French-speaking part of Switzerland! Interested in playing with people your own age ? Learn more about our Junior team here.